Although historians have occasionally questioned its explanatory power, the historiographical notion of a "Renaissance of the Twelfth Century" has proved both enduring and heuristically useful for medievalists. This characterization has been controversial in some circles, and one literary scholar even suggested in 1999 that it was "time to scrap it," but nearly all mainstream scholarship on the long twelfth century acknowledges that the period saw fundamental transformations in European thought and culture. Nearly 100 years after Charles Homer Haskins published the foundational book on the subject, Peter Dinzelbacher has sought to re-shape our understanding of it by broadening the base of source material, fearlessly proposing clear lines of causation, and introducing methodologies drawn from the social sciences and psychology that help explain how Europeans experienced historical change. The result is a marvelous book that, while it repeats many familiar historical arguments, packages them in a fresh and intensely engaging fashion. Throughout the work, Dinzelbacher boldly and unapologetically portrays the twelfth century as point of absolute rupture with what came before. He chides earlier historians for being "too overcautious or unassertive or incurious to answer" the question of causation (1): why did such a dynamic cluster of revolutions in thought, culture and society occur between the middle of the eleventh and the early thirteenth century? He adopts "Renaissance" because of its common usage, but he denies that the epoch can be understood in terms of its connection to antiquity, which is of course implicit in the idea of "rebirth". 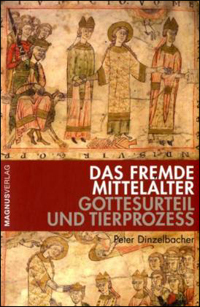 In his introduction, Dinzelbacher goes so far as to label the long twelfth century an Achsenzeit every bit as important as the period (ca. 500 BCE) to which Karl Jaspers famously applied the phrase. In contrast to many recent historians, he suggests an emphatically teleological framework, as when he flatly declares that the new emphasis on self-actualization formed part of a "progression to modernity" (147). Methodologically, he argues that traditional political and intellectual histories cannot do justice to the subject at hand, so he presents his study as a "history of mentalities", an approach he has fruitfully employed in his earlier books. As a result, the book covers well-known material while continually challenging even senior scholars to re-think their assumptions about continuity and change. In Part I, Dinzelbacher outlines six "varieties of mutation" that characterize the period: expansion, differentiation, rationalization, desacralization, and psychologicalization. The story he tells through these innovative categories is in many respects a familiar one: the Latin West expanded its horizons as it absorbed new territory and more people participated in urban culture, while rapidly developing institutions like courts and cathedral schools presided over a dynamic intellectual life. At the same time, individuals explored their inner life and described their religious experience emotionally and in vivid detail. Dinzelbacher repeats fairly common arguments from twentieth-century historiography, but he does so through unusually direct and powerful formulations. The high medieval fascination with antiquity, for instance, represented a temporal expansion of the European mentality that had is endpoint the eschaton of Joachim of Fiore, Hildegard of Bingen and other twelfth-century "prophets" (22-37). The explosion of religious orders and rise of heretics appear alongside the increased visibility of children, all of which serve to represent social "differentiation". Not only does the book employ novel categories and methodologies, but it expands the scope of the inquiry in several important ways. 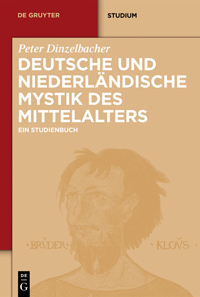 First, although Dinzelbacher acknowledges focusing on "countries north of the Alps," within that range he covers an astonishing amount of cultural and linguistic territory, seamlessly integrating work in over a dozen medieval and modern languages. His arguments about broad intellectual structures are immensely bolstered, for example, when he ties together trends from Norse prose and Occitan poetry, and he thus ranges far beyond the Latin and Northern French focus of so many earlier surveys. Second, the author centers architecture, painting, and even numismatics in his analysis, while traditionally these have been afterthoughts to analyses of literature and philosophy. In addition, Dinzelbacher emphasizes some aspects of the twelfth century that have been little noticed in Anglophone studies, especially "desacralization". 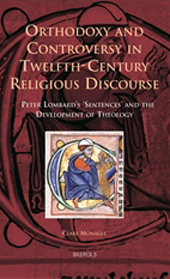 English and North American scholars have tended to focus on the religious energy of twelfth-century life, so many might be surprised by his contention that some Europeans then worked to "emancipate the study of nature from its theological straitjacket and final enabled the modern way of scientific thinking". Even more strikingly (and controversially), he argues a few lines later that new approaches to scientific inquiry "unintentionally led to god's actions appearing of less immediate importance, thus foreshadowing Deism" (118). Not all scholars will accept this connection, but it provides a useful corrective to the relentless focus on the emotional intensity of high medieval religion that has dominated twelfth-century historiography in the last few decades. Dinzelbacher turns to the problem of origins and explanations in Part II, and he assures his readers that "it is as a honorable quest as it is a necessary one, to reflect on reasons, grounds, and causes in history" (205). While recent historiography in a variety of fields tends to preface considerations of cause and origins with climactic and demographic changes, his commitment to "history of mentalities" leads him to begin with the Investiture Struggle, which "accounted for an indispensable stimulus that led towards the mental innovations of the era" (216). By severing the unity of the profane and the sacred, and by creating an aura of suspicion that the clergy could be polluted by simony and other vices, the clerical victories of the period created an environment in which individuals needed to think critically about how to effect their salvation. Moreover, since French clergy were less intimately involved in the struggle than their counterparts in German and Northern Italy, it was they who could be most innovative in explaining their world (216). This account of a shift in mentalities is followed by a related series of reflections on materialist, sociological and psychological points of view on cultural development. His arguments, some of which are traditional and some less so, can be summarized in turn as: 1) climactic change and technological improvement allowed a leisured class to break out of the rural economy, spend their energies on the "civilizing process"; 2) the consequent social differentiation encouraged "intellectual versatility"; and 3) these transformations allowed the European psyche to enter a new stage of development (and here Dinzelbacher draws on Piaget and historians like Charles Radding who have applied the latter's insights to the twelfth century). Not only does Dinzelbacher draw on scholarship that is too often dismissed or ignored, but he shows how it can provide new insights from well-known episodes, as when he argues that the supposed martyrdom of the boy William of Norwich by Jews in 1144 illustrates not only a persecuting mentality, but also a new concern for children (238). 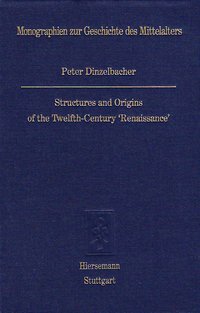 Finally, Dinzelbacher considers the role of external factors in shaping the Twelfth-Century Renaissance, and rejects them as potential causes, for this was "an internal European revolution", with cross-cultural contact only accelerating developments whose origins lay within the Latin West (264). 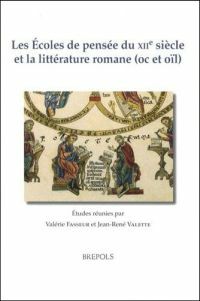 Unusually broad in its scope and methodological considerations, this book provides the most wide-ranging survey of its subject matter (by a single author) available in English, and it should become essential reading for an international audience of medievalists. 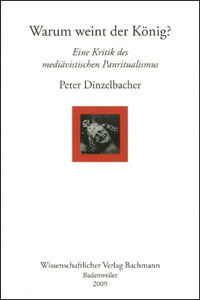 This last point deserves great emphasis: Dinzelbacher notes at the end of the work that he chose to write the book in English rather than his native tongue in response to "Anglolexia", the late Timothy Reuter's term for the aversion of many British and North American academics to reading German. And this book certainly operates in the unfamiliar (to some) world of German-language scholarship, with a helpful bibliography of sources in that language. It should open new horizons for the majority of Anglophone scholars who do not engage with German work as often as they should. Indeed, it is hoped that they (including the present reviewer) will be both shamed and inspired by Peter Dinzelbacher's excellent synthesis. C. Stephen Jaeger: Pessimism in the Twelfth-Century "Renaissance", in: Speculum 78 (2003) 1151-1183, 1183.